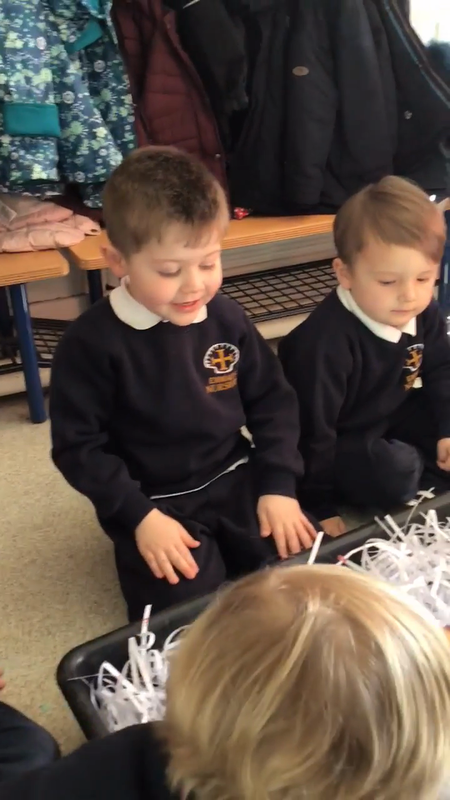 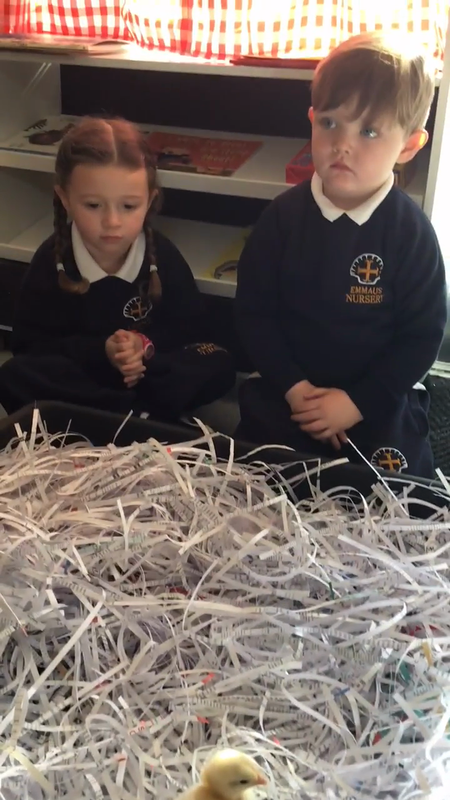 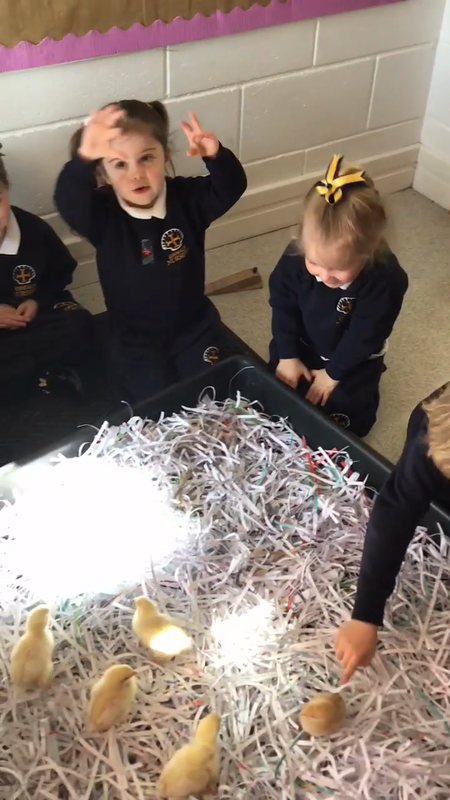 Today we observed the chicks exploring the Nursery tough tray with shredded paper. 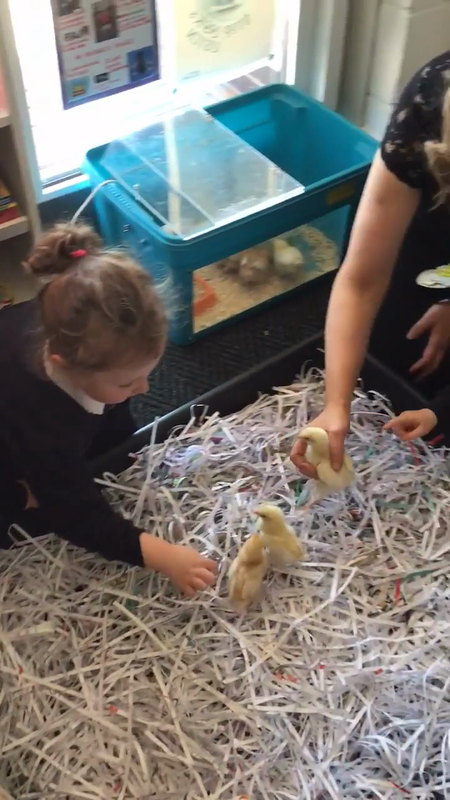 We watched them flapping their wings and noticed their wing feathers had started to grow. 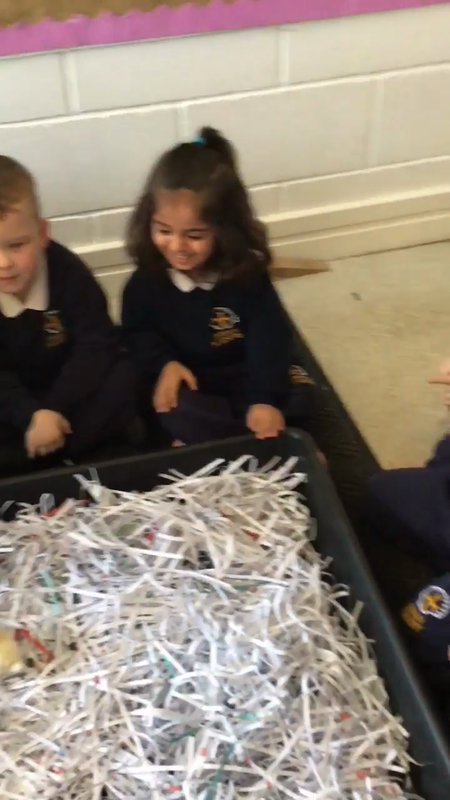 We gently stroked them with one finger. 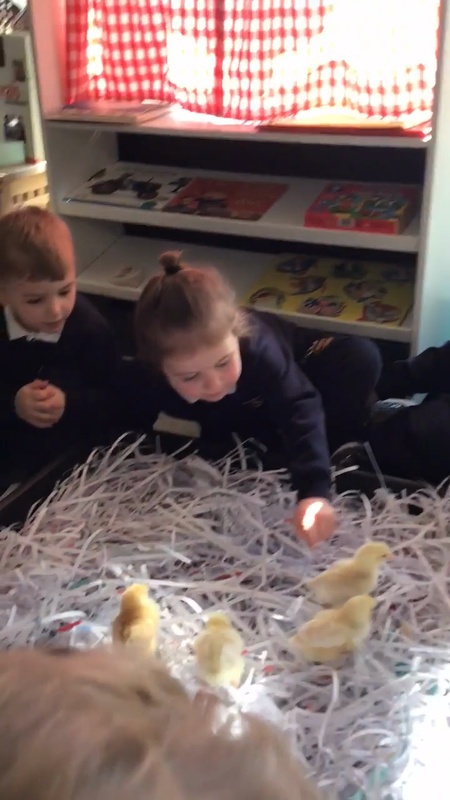 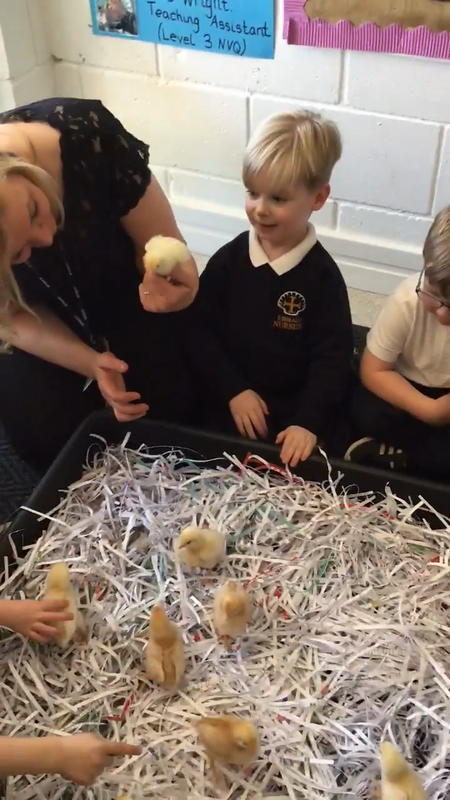 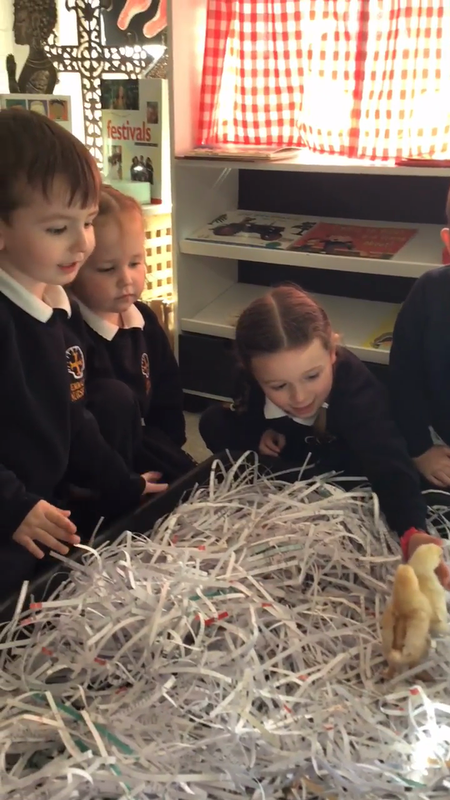 We thought of names for the chicks...Alby, Charlie, Millie, Issy and Mini were some of the favourites. 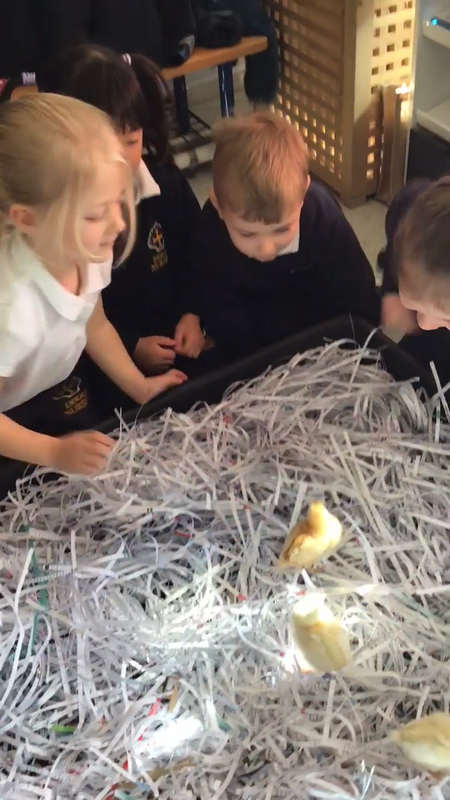 Tomorrow the chicks will be returning to the farm.